A Happy happy new year from all of us at DOUK.com! We hope the hangovers from New Year’s Eve have worn off and that you aren’t putting off taking down your Christmas tree for too much longer. While some may abhor the cold weather without the bright beacon of Christmas to keep your spirits up, there are still plenty of fun activities to try and attractions to visit this January. With the new year in full swing, this is the perfect opportunity to take some time to think of all that the coming months may have in store, and there is no better way to do that then by taking a nice scenic walk to clear your head. There are many MANY beautiful spots in the country to take a stroll, but since a blog post like that would probably end up being about fifty pages long, I’ve compiled a list of some of the best and most beautiful places to take a wintry walk in Sussex and Kent. So wrap up warm, grab your walking boots, the kids and the dog and try one of these stunning strolls! For those wanting to experience a little history as well as some amazing architecture, there are a number of castle grounds that can be explored in these areas. East Sussex is a rambler’s paradise and Bodiam Castle has a number of delightful trails to trek and explore. This 14th century moated structure still stands tall to this day and looks spectacular against the backdrop of a wintry landscape. 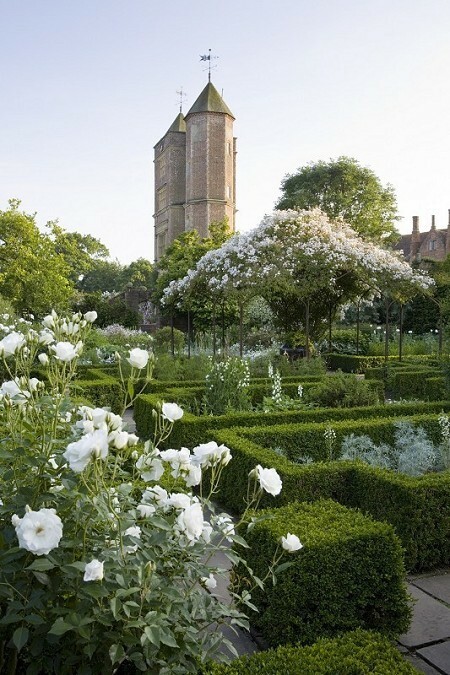 Sissinghurst Castle and its surrounding area also boasts stunning views and walking trails to wear yourself out before staggering home to demolish all your left over Christmas food. The Castle grounds are home to a well-loved garden to explore and the building itself is surrounded by stretches of farmland, peaceful woods and stunning lake views. If you’re in need of ideas for your walking route you can pick up a leaflet in reception. After your walk why not enjoy the International Garden Photographer of the Year Exhibition showcasing some of the best amateur photography from around the world or regain some energy by checking out the seasonal menu offered at the castle restaurant. Surrounding the castle is a wealth of picturesque nature to explore and signposted footpaths to explore. If you’re lucky, you might even encounter a costumed character or two whilst exploring who will be more than happy to take you on a tour of the castle and explain the goings-on from the point of view of the staff. 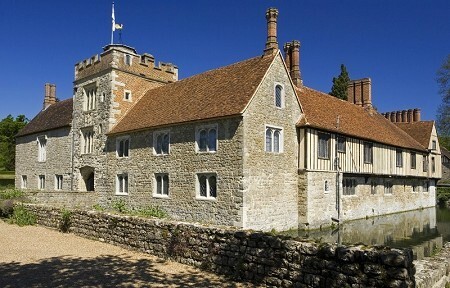 Kent and Sussex also contain a wealth of countryside houses perfect for walking around. 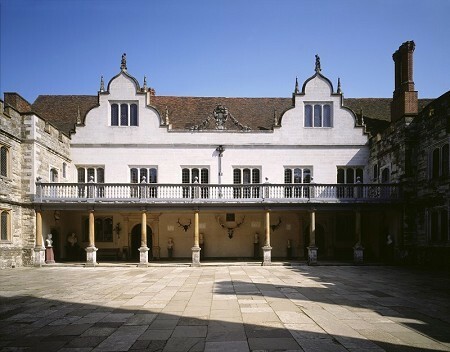 The Romantic moated manor house of Ightham Mote has once been described by David Starkey as 'one of the most beautiful and interesting of English country houses,' and even a cursory glance of the property can see how he came to such a conclusion. With a lush orchard and garden to discover and over 580 acres of the estate to explore as well as more substantial walks to that cover the surrounding woodland in the Kentish countryside, this is not a property to be missed! There are circular walks to Wilmot Hill, covering all of the vast estate, to walks to Oldbury Hill, an Iron Age Hillfort dating from around 50BC, or, for those really looking to burn some energy why not try the walk that covers two beautiful properties, Ightham Mote and Knole! 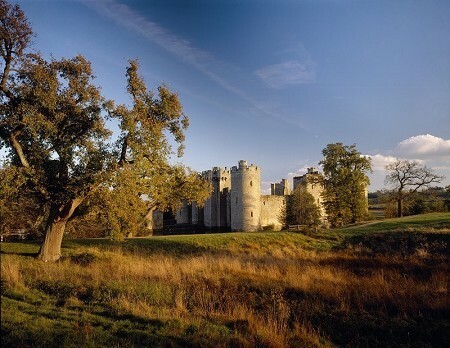 Knole itself is a beautiful house that covers six centuries of history and isn’t short of areas to discover either. While the house is closed during the winter period, the estate is still available to explore. Make sure to check out the resident deer herd found wandering the grounds and see all the beauty found within the over 1,000 acres of surrounding parkland. For inspiration (and so you don’t get lost), make sure to pick up a map at the visitors centre or alternatively join one of the regular guided winter walks available Thursdays, Saturdays and Sundays at 14:00! 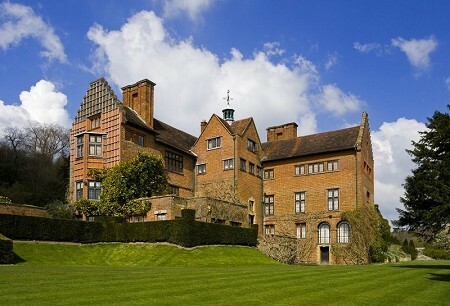 Chartwell- The family home of Winston Churchill has an estate that becomes a beautiful winter wonderland once the frost sets in. From the winter border of the orchard home to blooming flowers even at the coldest times of year, to a crater formed by a bomb dropped during World War Two, to a Canadian camp, there is much to be discovered across this large estate. Make sure to visit one of the two exhibitions available to see during the winter: Child of the Commons and the Fiftieth Anniversary exhibition! So if you’re in and around or planning a trip to the Kent or Sussex area, there are plenty of places to take a stroll and work off the mountain of food we’re all guilty of getting through over the Christmas season. As 2017 marches on, whatever you have in store for the coming months, all of us at DOUK wish you a very Happy New year.